Menotti Enterprise has extensive experience in various construction project types. Whether your project falls into the government, education, retail, commercial, or residential sector, you can count us to minimize on-site risks and lessen the chance of future construction delays. It’s imperative to invest in risk management, regardless of the scope of your project. At Menotti, not only will we address any obvious risks, but we will develop a plan to prevent future ones from occurring. 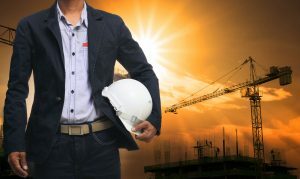 Turn to our professionals today for site safety management, fire safety management, concrete safety management, and more. We understand the challenges that come with finding the right construction management firm for your project. Rest assured that Menotti Enterprise makes the entire process simple and stress-free. We are there for each phase, including supervision, coordination, preconstruction, scheduling, and closeout. Don’t make the mistake of underestimating OSHA requirements. At Menotti, we are more than happy to provide your team with access to OSHA training. Some of the courses offered include OSHA 10-Hour Construction Industry, OSHA Ergonomics, OSHA Ladder Safety, and more. You deserve to work with a site safety team that has your best interest in mind. See how Menotti Enterprise can be of assistance.